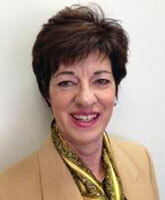 Kathleen M. Carr, Senior Commercial Consultant, is a graduate of Saint Joseph’s University with a B.S. Degree in Management/Marketing. Ms. Carr has extensive experience in institutional and commercial office leasing and tenant representation services for corporate and professional service clients. Formerly with CBRE, Grubb and Ellis and The Flynn Company, her services are comprised of coordinating team members including appraisers, brokers, contractors, architects, legal counsel, and vendors to meet client goals. Ms. Carr is a member of Commercial Real Estate Women (CREW) having served as Board member, Delegate, Secretary and Mentor; Saint Joseph’s University, Haub School of Business, Board of Advisors and is a founding member of the Real Estate and Construction Alumni Committee of Saint Joseph’s University.